The invisible way to straighten your teeth without braces. To discuss clear braces in the Mesa AZ area, please feel free to contact us to schedule an appointment. The aligners are made through a combination of Dr. Allan‘s expertise and 3-D computer imaging technology. As you replace each aligner with the next in the series, your teeth will move – little by little, week by week – until they have straightened to the final position Dr. Allan has prescribed. You’ll visit Dr. Allan about once every 6 weeks to ensure that your treatment is progressing as planned. Choosing to straighten your teeth is a big decision that affects not only your appearance, but your lifestyle as well. As an adult, you may be looking to improve your smile for business and social reasons, or even for a special occasion like your wedding day. Or perhaps you’re a teen or the parent of a teen looking for an effective yet modern-day solution. Either way, Invisalign® and Invisalign Teen® can provide a simple way to accomplish this without having to put your life on hold. Take a moment to learn more about the entire Invisalign treatment process and how it can help you. One of the first questions people tend to have when considering Invisalign® is, “How much will it cost?” The good news is that most individuals are pleasantly surprised to discover that the cost of Invisalign treatment is usually comparable to the cost of traditional braces. Many companies offer their employees FSAs. An FSA allows you to set aside a portion of your paycheck in order to pay for qualified medical expenses. The money you elect to contribute is deducted from your pay and transferred directly into your FSA and, therefore, is not subject to payroll taxes. After incurring eligible medical costs, you can then submit your receipt for reimbursement from your FSA provider. Since Invisalign falls under orthodontic treatment, these costs can qualify for FSA reimbursement. If your company offers an FSA and you know you’d like to use it to pay for Invisalign, plan ahead and consult your benefits department. When it comes time to enroll in your program, you can authorize a deduction for the appropriate amount for your Invisalign treatment and save money while doing it, since it’s a pretax contribution. 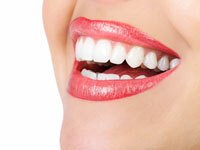 It’s an easy and convenient way to get the smile you want.